Courage Campaign | California GOP: Take Down Your Misleading Obamacare Website Today! California GOP: Take Down Your Misleading Obamacare Website Today! This is a new low. 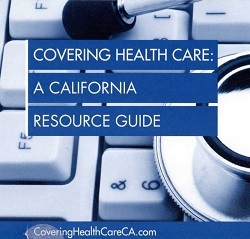 In their latest effort to destroy Obamacare, California Republicans used YOUR tax dollars to create a bogus website, CoveringHealthcareCA.com, that lures constituents away from California’s real marketplace website, CoveredCA.com. This is just ‘death panels’ by another name. The GOP is intentionally misinterpreting the law, promoting misleading or outright false information and avoiding basic facts and benefits. Sign on to our petition: "It is outrageous that Republican legislators in California are using taxpayer dollars to intentionally mislead their constituents, sow fear and confusion, and divert Californians away from CoveredCA.com -- California's health insurance exchange under Obamacare. They must take down the site immediately."